Whether you’re looking for an external or an internal gear pump for your hydraulic system, you can count on HYDAC to have precisely what you need or be able to specially order it in for you. HYDAC’s internal gear pump range boasts significantly low noise levels, low pulsation and a very large speed range. 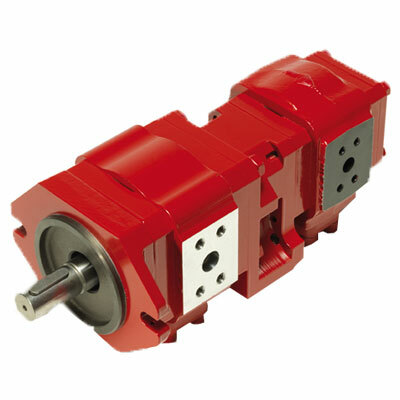 The internal gear pumps are available in various sizes and pressure levels, from 3.8 cm³/rotation to 250 cm³/rotation up to a maximum nominal pressure of 330 bar. It is also available as multiple pumps. HYDAC stocks four key models amongst our gear pump range. Three are medium pressure and the remaining one is a high pressure gear pump. Our medium pressure PGI100, PGI101 and PGI103 gear pumps come available in sizes 2, 3, 5 and 6. They boast speeds up to 4000 rpm and a maximum pressure of up to 320 bar. We carry the PGI102 high pressure gear pump in sizes 2, 3 and 6. Capable of pulling in speeds up to 4000 rpm and maximum pressure up to 350 bar.